On Thursday, February 9, Essbaum was a guest of the Inlandia Institute, an organization based in the Inland Empire which promotes the work of local writers. 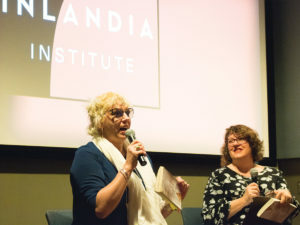 The program, titled, “Conversations at The Culver,” brings together local poets and writers to read and discuss their work at The Culver Center of the Arts in downtown Riverside, and Essbaum was specifically discussing “Hausfrau,” which tells the story of an American woman named Anna living in Zurich. Touching on themes as diverse as motherhood, depression and even national identity, this touching novel has won accolades across the country. The conversation began with Essbaum providing details about her time in Zurich, which led her to write the novel. She spent a few years living in Sweden with her ex-husband, which she described as a difficult period in her life. As Essbaum suggested, however, the character Anna was not exactly based on her, but the trajectory of the novel was based on her time spent in that city. She began working on this novel after she left Zurich and settled in Southern California. Moreover, she continued by discussing her favorite authors and how they inspired “Hausfrau.” She stated, “Joyce Carol Oates is an author who I always come back too, and when she retweeted me that was like the most exciting moment.” But she also said the two novels which were her major influences for writing this were “The Virgin and the Gypsy” by D.H. Lawrence, as well as “Madame Bovary” by Gustave Flaubert. 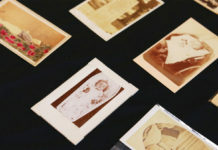 After Porter concluded the event, Essbaum passed out custom stickers which she made for the release of her novel, and met audience members to sign copies of her novel. The Conversations at the Culver event provided an illuminating discussion with a talented novelist.